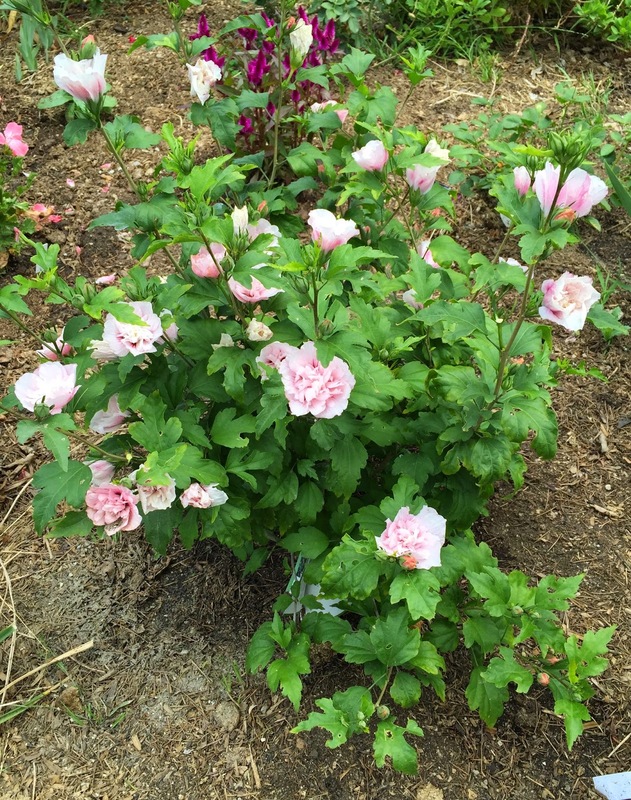 I got this Rose Of Sharon, Hibiscus syriacus(say seer-E-ack-us) last year. It's flowering today and so pretty! Most people know the other Hibiscus rosa sinensis which looks tropical with big glossy green leaves and flowers that come in all colors except blue & purple. They're all large growing shrubs 5-10' and come from Asia. But the difference is that H. rosa sinensis is evergreen and H. syriacus is deciduous(loses all its leaves in winter). I think people in SoCal are spoiled with evergreens because it doesn't snow here. So we don't see deciduous shrubs here that much. Leaflessness in winter is not a bad thing. But my theory is that many non-gardeners here think when something besides a tree drops its leaves that it's dead. So we don't see Rose Of Sharon that often. And when you do it's usually lavender or dark pink and a single flower. That's why I was so enamored by this pale pink double variety. It's called Pink Chiffon and blooms now through the summer. It's supposed to get about 8' tall. So far it's grown about 2' per year. 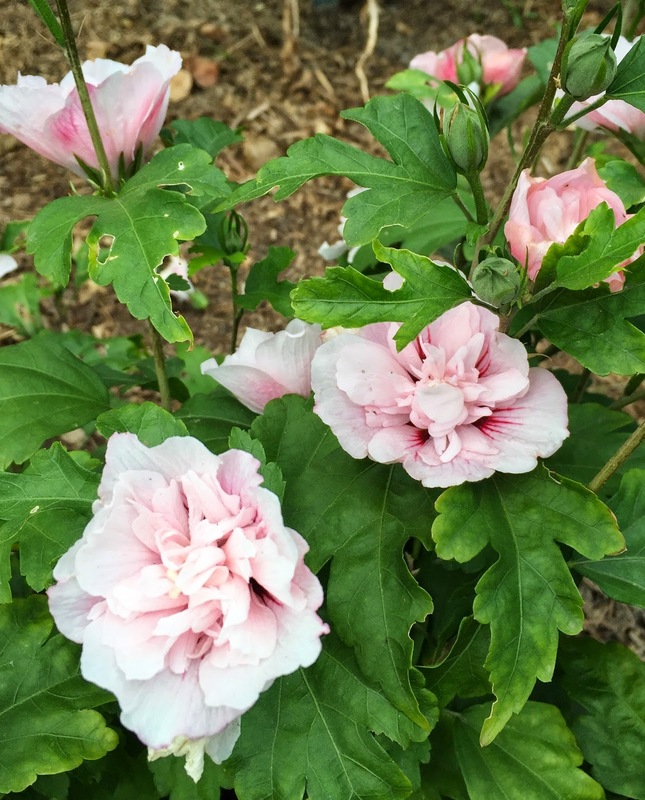 Do you grow Hibiscus syriacus? Happy Memorial Day weekend and Happy Gardening!